Received with Horizontal loop of 2100 square meters, Marconi T antenna (11m high, 45m top) and earth dipole of 70m (North/South oriented). 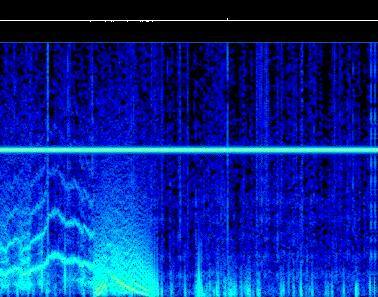 Analyzed with Spectrogram and Spectran. 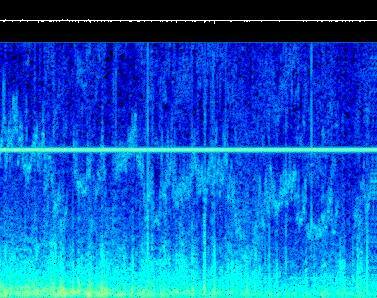 Spectrogram of 20', in 0-86 Hz band. signal, started from 70 Hz (left) to 25 Hz (right). Strange variable signal, like a 3 mountain pitch. by electrostatic activity during a storm. 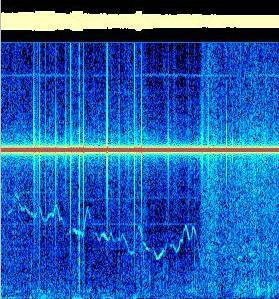 Weak Schumann resonances on background. Strange variable signal, similar to upper. Received with horizontal loop, 2100 sq.m. starting from 35 Hz (left) to 15 Hz (right). Spectrogram of 30', in 0-13 Hz band. Variable noise at 2.5 Hz, 4.3 and 5 Hz. 7.8 Hz. Some noise at 1 Hz. 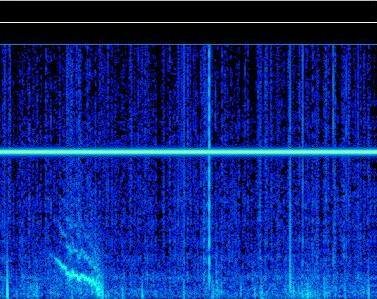 Spectrogram of 30', in 0-6 Hz band. 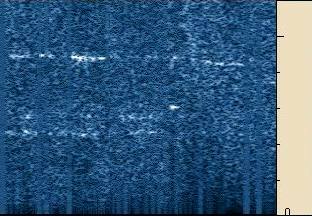 Received with heart dipole, N/S oriented. 1 Hz and 2.2 Hz. Weak tone at 9.7 Hz and 5.8 Hz.